Meaning: You must sign in with a Microsoft account to perform several tasks in Windows. 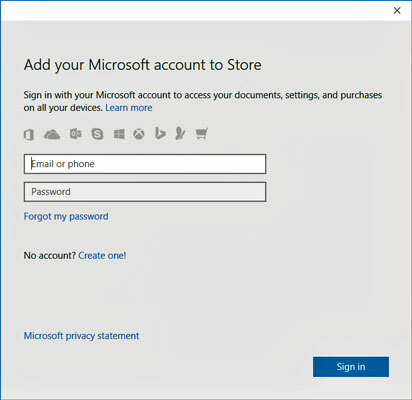 If you don’t have a Microsoft account, you see the message shown. Microsoft accounts let you reap the most benefits from Windows. Probable cause: You may have tried to use the Windows Store or OneDrive, which both require a Microsoft account. Solutions: Sign up for a free Microsoft account. Meaning: When the window shown appears in your screen’s bottom‐right corner, click it to tell Windows what to do with the item you’ve just connected to your computer. Probable cause: You just slid a flash drive (a stick of memory) into your computer’s USB port, attached a camera, or connected another device to your computer. Solutions: Choose how you want Windows to react when you reconnect that device in the future. You can always change this decision by visiting the Settings app’s Devices area and choosing the AutoPlay category from the left pane. There, Windows lists all of your devices and how Windows currently handles their arrival. Click any device, and a drop-down menu lists all of your choices. Did you mean to switch apps? 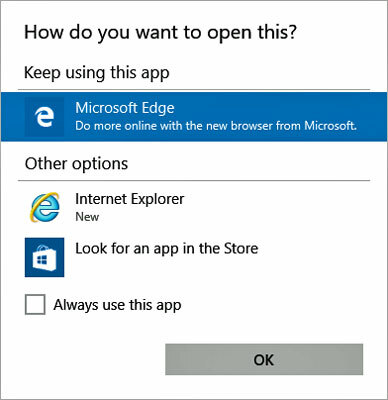 Meaning: Your currently viewed app is trying to open another app. Windows shows you this message to make sure the app’s not trying to do anything evil. Probable Cause: You’ve clicked a link inside one app that requires another app to handle the job. Solutions: Unless you think the app is trying to install a virus or do something bad, click the Yes button to approve the job. Do you want to allow this app to make changes to this computer? Meaning: Are you sure that this software is free from viruses, spyware, and other harmful things? Probable cause: A window similar to the one shown appears when you try to install downloaded software or a driver for one of your computer’s parts. Solutions: If you’re sure the file is safe, click the OK, Yes, or Install button. But if this message appears unexpectedly or you think it may not be safe, click the Cancel, No, or Don’t Install button. Meaning: This question means you haven’t saved your work in a program, the program is about to close, and your work is about to be lost. Probable cause: You’re trying to close an application, sign out, or restart your computer before telling a program to save the work you’ve accomplished. Solutions: Click the Save button to save your work and let the program close. Don’t want to save the file? Then click Don’t Save to discard your work and move on. Meaning: When the built‐in Windows antivirus program, Windows Defender, finds a potentially dangerous file on your computer, it lets you know with the message shown. Windows Defender then removes the file so it can’t harm your computer or files. Like most notifications, this one always appears in the screen’s bottom‐right corner. Probable cause: A dangerous file — malware — probably arrived through email, a flash drive, a networked computer, or an evil website. Windows is removing the file so it can’t do any harm. Solutions: Windows Defender is already removing the offender, but try to remember what action forced Windows Defender to clean up the problem. Then remember not to repeat that action. It wouldn’t hurt to tell Windows Defender to give your computer a scan, and to scan any storage device you just connected. How do you want to open this? Meaning: The window shown appears the first time you open a new type of file on the desktop. Probable cause: Windows apps and programs often fight over the right to open your files. To make sure that the right program is opening your file, Windows displays this message for you to confirm that the correct program is handling the job. Solutions: If the right program is opening your file, click OK. Windows won’t bug you the next time you open that type of file. The message reappears the next time you open a different type of file, however. If the wrong program is trying to open the file, choose the correct program from the message’s list. If Windows doesn’t offer any valid suggestions, however, click the option Look for an App in the Store. To open that file, you may need to download or buy an app from the Windows Store. Let this app use your precise location? 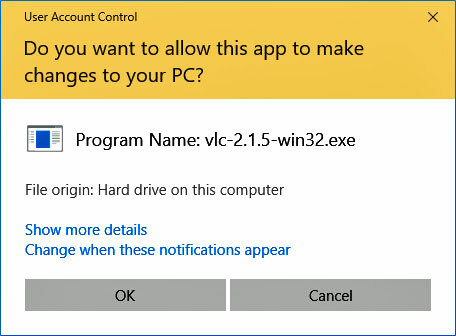 Meaning: An app is asking permission to know your current physical location, as shown, and Windows wants to know whether you want to allow that. Probable cause: An app needs your location to do something, perhaps to give you information about your immediate surroundings. Solutions: If you trust the app and feel comfortable letting it know where you’re currently sitting or standing, click Yes. That gives the app permission to always know your location without having to ask again. If you think the app is being too nosy, click No. However, the app will probably ask for permission again the next time you open it. Meaning: The message tells you that the Windows backup program, File History, has stopped working. Probable cause: File History was saving your files on a portable hard drive, flash drive, or memory card that’s no longer plugged in to your computer. Solutions: This message appears most often on laptops and tablets after you’ve taken them on the road, leaving your backup drive at home. So, find your portable hard drive, flash drive, or memory card and plug it back into your computer. Once you plug the drive back into your computer, File History thoughtfully makes a fresh backup of everything that hasn’t yet been saved. Meaning: The particularly cryptic message means you’re trying to send email from the desktop, but you haven’t installed a desktop-based email program. Probable cause: Here’s where the split between the traditional desktop programs and Microsoft’s new apps becomes irritating. Microsoft doesn’t allow Windows desktop programs to use the Mail app. If you click any desktop program’s Send This or Email This option, this message appears until you install a desktop-based email program. Solutions: Download and install a desktop email program. To keep things simple, you’ll have to decide between using the Mail app, or a traditional desktop-based e-mail program. It’s often difficult to run more than one e-mail program on the same computer. 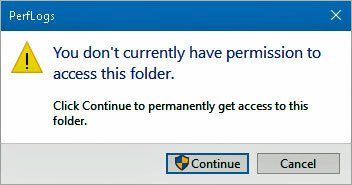 Meaning: If you see this dialog box, it means Windows won’t let you peek inside the folder you’re trying to open. (The folder’s name appears in the message’s title bar.) A similar message appears when Windows won’t let you peek inside a file. Probable cause: The file or folder belongs to somebody with a different user account. Solutions: If you hold an Administrator account, you can open files and folders from other people’s user accounts by clicking Continue. If you don’t have an Administrator account, however, you’re locked out.